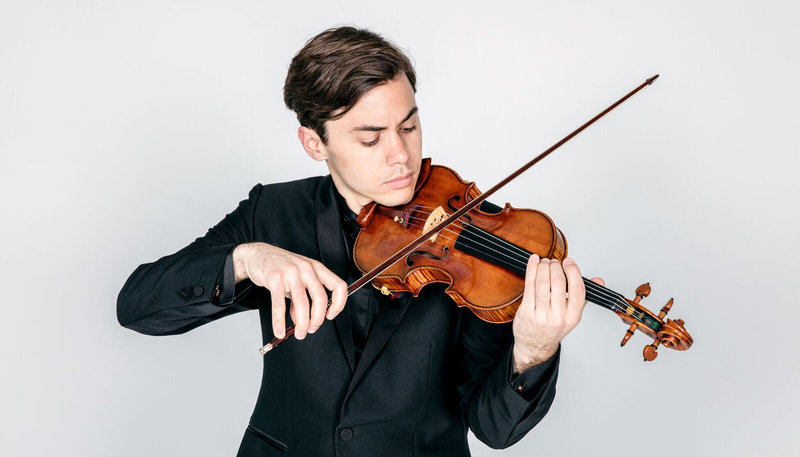 For violinist Benjamin Beilman, the music of Johannes Brahms has timeless appeal. Striking what he considers a “perfect balance” between the personal and the objective, works like the German Romantic composer’s Violin Concerto in D major, op. 77, still have the power to move performer and listener alike. “It is just as present, as contemporary, and as appropriate to a performer and to an audience today as it was when it was premiered,” Benjamin says of the concerto, which was first performed on New Year’s Day of 1879. Like many works by Brahms, the composition is both a vehicle for intense emotional expression and a testament to the composer’s respect for the classical forms established by his forebears. That mixture of form and feeling will be on display this weekend as Benjamin returns to the stage of the Peace Center for two performances of the Greenville Symphony’s Masterworks Series concert “Beilman Returns.” In addition to Brahms’ concerto, the program also includes Richard Wagner ‘s Overture from Die Meistersinger and Antonín Dvořák’s Symphony No. 7. In this interview that aired Friday, November 2, SCPR’s Bradley Fuller speaks with Benjamin about the concerto and its composer, the advice he has for aspiring performers, and what he has planned for his return visit to South Carolina.